The AZIO by Aluratek L70 USB Backlit Gaming Keyboard is the perfect gaming accessory for your PC computer. The L70 USB Backlit Gaming Keyboard comes with the right features to enhance your gaming experience. 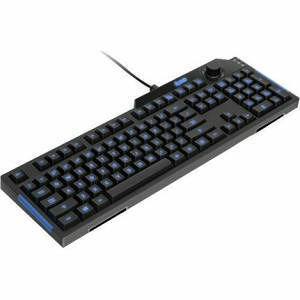 Blue backlight to increase keyboard visibility in dark environments, Multi-Key Rollover to ensure multiple keys register correctly when gaming, and a volume knob for quick volume adjustment.